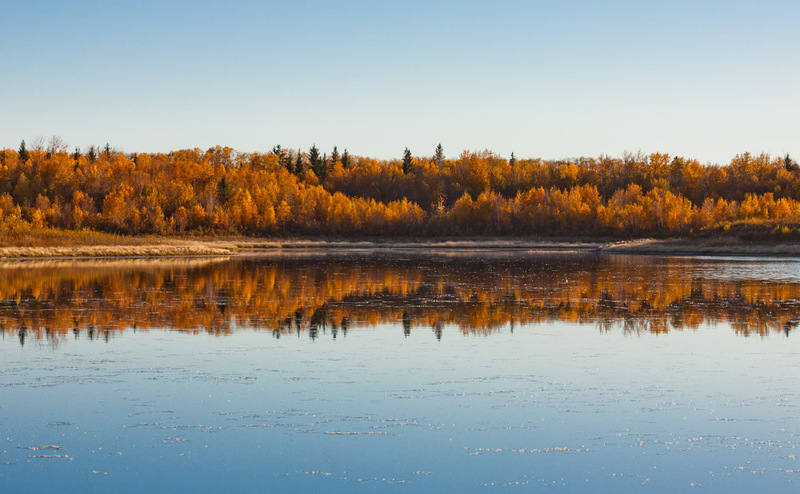 If you’re in the Edmon­ton area, and haven’t been out enjoy­ing (and pho­tograph­ing) the fall colours this week, I have one word for you — go! I’ll let this pho­to­graph speak the thou­sand words’ encour­age­ment. I’ve been explor­ing the south-west cor­ner of Min­is­tik Lake Sanc­tu­ary, fol­low­ing game trails along the shore of Oliv­er Lake and com­ing across views like this one. 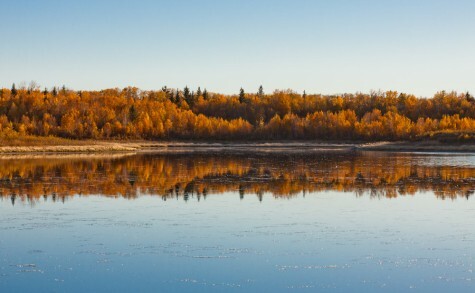 This is one of my favourite autumn com­bi­na­tions — yel­low aspen & birch, bright dried grass­es, all against a blue sky reflect­ed in a still lake, and with just a few dark spruce thrown in for accent. Gor­geous.